Now you know I’m a RX fan boy, I think it’s the bees knees in fact. Of late I have also gotten into Akka, and Akka Streams, which is one implementation of the Reactive Streams API. I also have a colleague who recently attend the ReactConf and came back raving about all the good work that NetFlix were doing using this uber duper specific socket that they have developed to allow RX type operators over the wire using a socket. Mmmm, sounds pretty cool. Thing is I was sure I had seen this before, and a long time ago too (well a long time in software years). Back in 2010 Bart De Smet of the RX team posted a couple of intriguing resources around this VERY badly named interface. So that is what IQbservable is all about. So what is the rest of this post about then? Well it just so happens that Dave Sexton one of the Reactive Extension Extensions guys (meant to be slightly tongue in cheek) has written an extremely useful and fairly lightweight library that does much of what is described above. Dave calls it QActive. He has done a great job of it, and has written serialized expression trees and parsers, which allow us to create client client queries in LINQ which are sent across the wire. We will now proceed to look at a simple server/client. 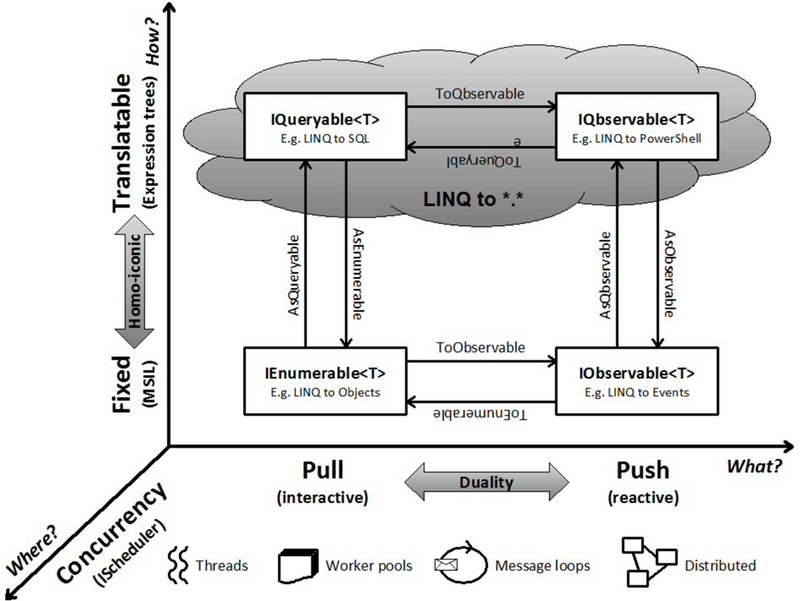 This is the most simplistic of examples that has a server that runs on a timer, and the client provides a LINQ where (filter) to this that will be applied to the server side stream ON THE SERVER. If you want to see a server that allows you to send notifications to the clients on demand have a look at the FormsServer in my GitHub repo. 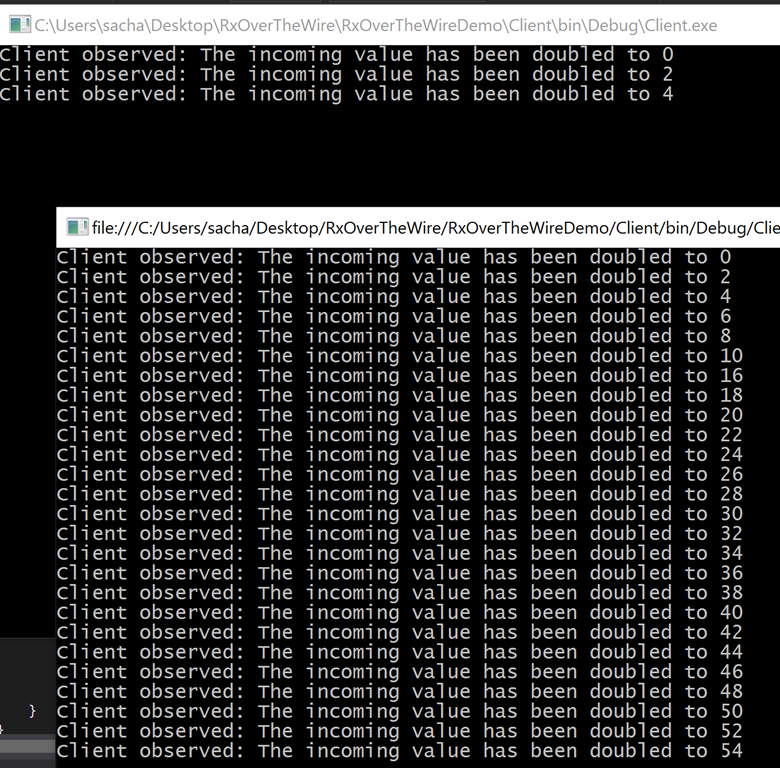 Here is the output when the simple server is run, and 2 clients are started one after another. This is very cool (uber cool in fact), we have just created a push based notification system that supports server side filtering (thanks to LINQ) in about 20 lines of code. If you can’t see what is cool about that, well I can’t help you. There may be some amongst you that go well any messaging framework that has a server and a client would/could do that in the same amount of code, what and the server side push down delegates (thanks to serializable expression trees)….mmmmm Don’t think so. Only thing I can think of that even comes close is OData, but that requires a fair bit of infrastructure/baggage to make it work. Last time we looked at Akka Http, this time we will look at Akka Streams. Akka Streams is a vast topic, and you will definitely need to supplement this post with the official documentation. Akka Streams is one of the founding members of Reactive Streams, and Akka streams is one implementation (there are many) of the Reactive Streams APIs. There may be some readers who have come from .NET such as myself who have used RX. You may even have heard of Reactive Streams before. 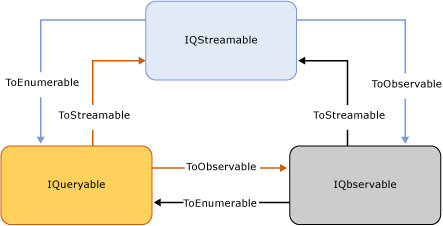 So what exactly makes reactive streams different from Rx? The back pressure protocol is defined in terms of the number of elements a downstream Subscriber is able to receive and buffer, referred to as demand. The source of data, referred to as Publisher in Reactive Streams terminology and implemented as Source in Akka Streams, guarantees that it will never emit more elements than the received total demand for any given Subscriber. Luckily this is all inbuilt to Akka streams, you do not have to worry about this too much as a user of Akka streams. * If the buffer is full when a new element arrives, drops all the buffered elements to make space for the new element. * If the buffer is full when a new element arrives, drops the new element. * space becomes available in the buffer. * If the buffer is full when a new element is available this strategy completes the stream with failure. For the rest of this post we will be looking at some examples of these 3 points. 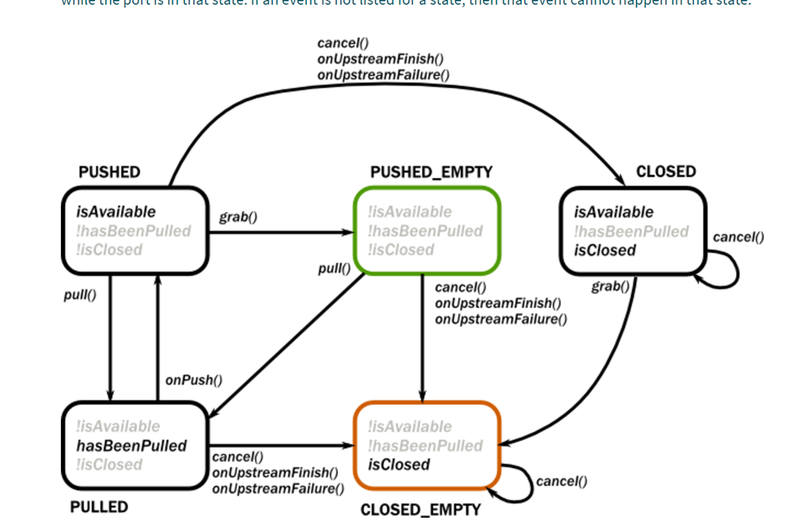 As stated at the beginning of this post the Akka Streams implementation is vast. There is a lot of ground to cover, far more than I can reasonably cover in a small blog post. The official docs are still the place to go, but if you have not heard of Akka Streams this post may be enough to get you into it. Akka comes with loads of prebuilt stages which we can make use of. However before I mention those lets try and just spend a bit of time taking a bit about how you use the Akka Streams APIs in their most basic form. The idea is that we have 4 different parts that make up a useable pipeline. A processing stage with exactly one output, emitting data elements whenever downstream processing stages are ready to receive them. A processing stage which has exactly one input and output, which connects its up- and downstreams by transforming the data elements flowing through it. A Flow that has both ends “attached” to a Source and Sink respectively, and is ready to be run(). In this simple example we have s Source(1 to 10) which we then wire up to a Sink which adds the numbers coming in. Akka streams also comes with a pretty funky graph building DSL. You would use this when you want to create quite elaborate flows. The other very interesting thing about the graph builder DSL is that you can use custom shapes inside it, and you can also leave it partially connected. Such that you could potentially use it as a Source/Sink. Lets say you had an output from the graph you built using the graph DSL, you could then use that partially constructed graph as a Source in its own right. The same goes if you had an unconnected input in the graph you created you could use that as a Sink. So the Graph DSL allows you to um well create graphs. It allows you to take in inputs and create other shapes using the implicit builder that is provided. The DSL then allows you to connect inputs/other builder creates stages/shapes to the inputs and even expose the connected stages to an output. override def createLogic(inheritedAttributes: Attributes): GraphStageLogic = ??? Most of the actual logic will be inside the createLogic method. But in order to do anything useful in there you will need to use handlers. Handlers are what you use to handle input/output. There are InHandler and OutHandler. The one and ONLY place that state should be maintained is within the createLogic method. And we want to build a custom stage that will allow us to select a value from this type, and should only emit an output value for unique values as provided by the property selector.